Women considering breast enhancement have personal reasons for choosing Breast Augmentation Surgery (augmentation mammoplasty). They may be unsatisfied with the size or shape of their breasts, preferring a larger cup size for aesthetic reasons, or they may wish to reclaim their shape following pregnancy, breastfeeding or weight loss. For all women, it's important to have options when it comes to breast augmentation. Serving the Wilmington, Jacksonville and Whiteville, North Carolina region, Wilmington Plastic Surgery's four board-certified and fellowship-trained surgeons are not only highly trained and experienced, they are extraordinarily compassionate and helpful. Patients may choose to bring spouses or other loved ones to their consultation with our plastic surgeons, where questions are encouraged and answers thoroughly explained. If you aren't sure what cup size to choose, our 3D Vectra imaging machine can help you make an informed decision. This advanced technology takes a series of pictures of your actual body, and then projects various sizes of implants onto the images. You can get an accurate preview of your results which leads to a very high satisfaction rate. Your surgeon will consider your body type and your current breast shape and size. Among the fundamental choices a patient makes is whether to have saline-filled, traditional silicone gel-filled, or form-stable implants. Wilmington Plastic Surgery offers all three options, and will help you choose which is right for you.  Factors your Wilmington Plastic Surgery surgeon will consider include your body type and your current breast shape and size. However, the ultimate decision is up to you. Hear from our expert surgeons about breast augmentation. At Wilmington Plastic Surgery we only use the finest lines of breast implant products. Natrelle® produces more than 140 shapes and sizes of both saline and gel implants, ensuring a finely tuned fit for every patient. Our patients can rest assured that every option Wilmington Plastic Surgery provides has been FDA-approved and rigorously tested for safety. Hear our plastic surgeons talk about breast implants. WHAT SHOULD I EXPECT FROM THE SURGERY? The implant may be placed above or below the muscle, another decision that will depend on your personal situation and preferences. We are also pleased to offer exparel pain management., an advanced pain management option that is very effective for breast procedures. Learn more about exparel pain management. Call 910-509-SKIN to schedule an appointment at our Wilmington, NC location, Jacksonville, NC office, or at our Whiteville, NC office. Or schedule your appointment here.